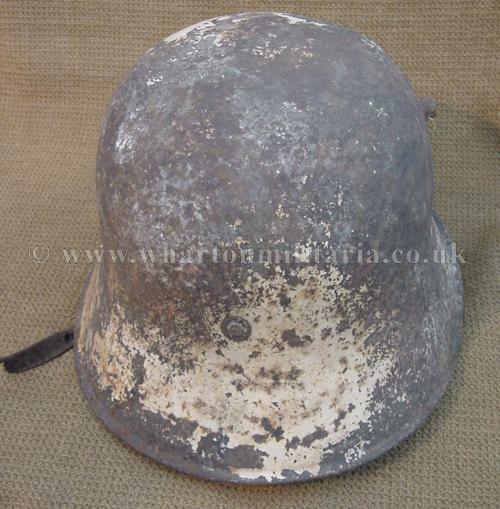 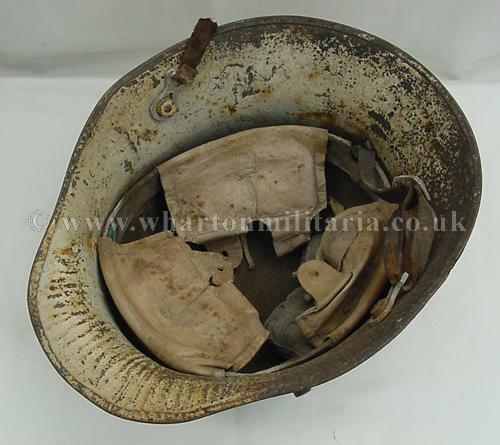 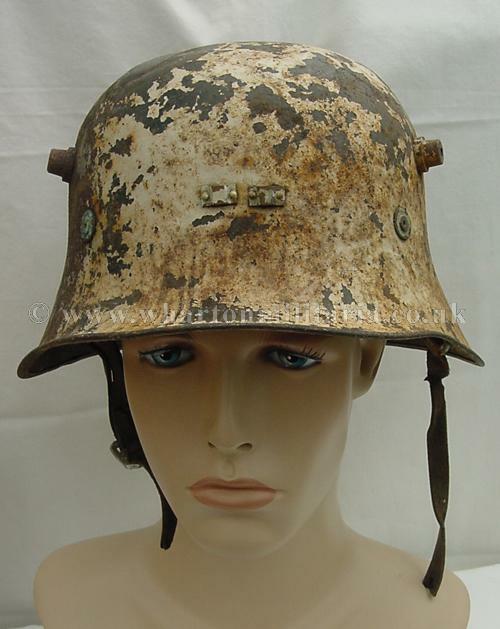 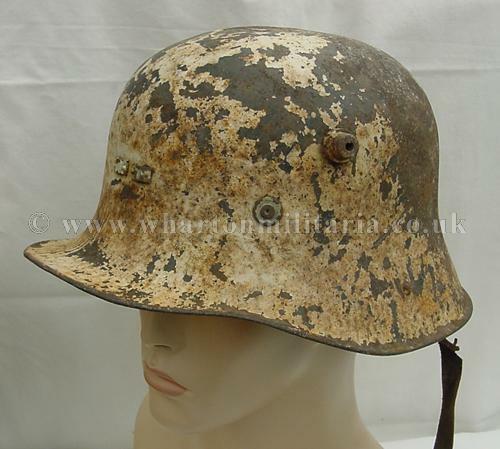 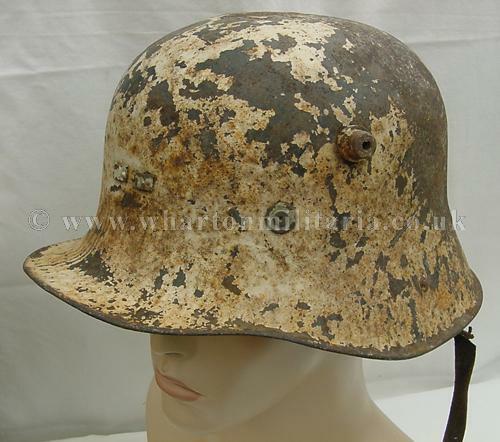 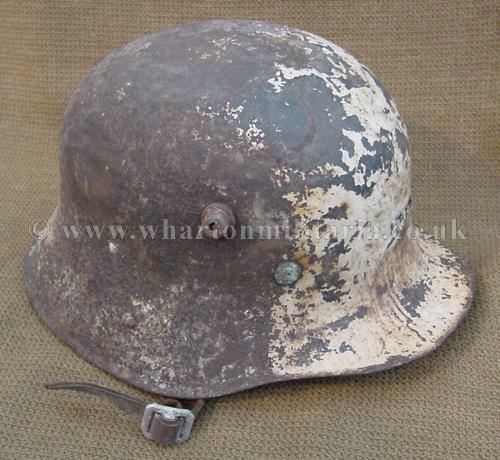 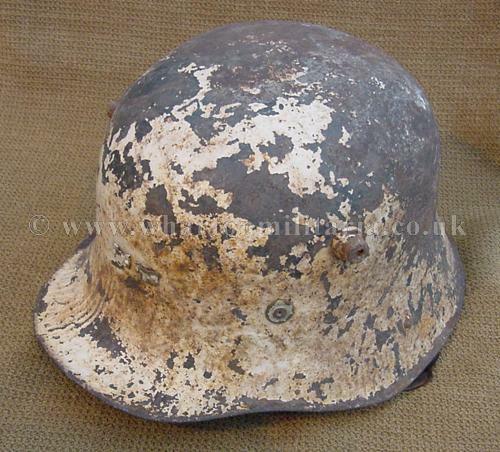 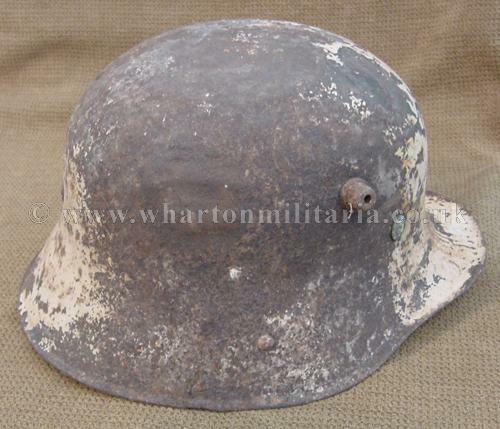 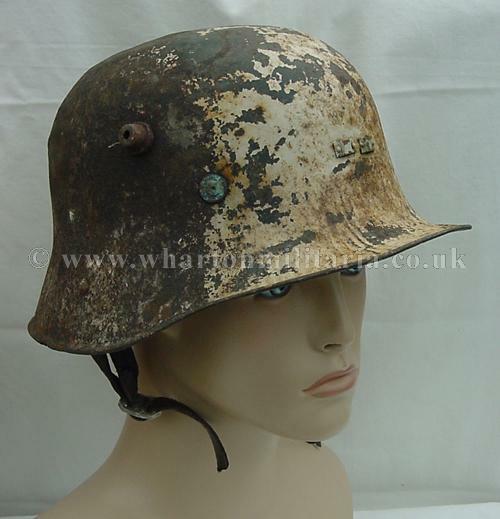 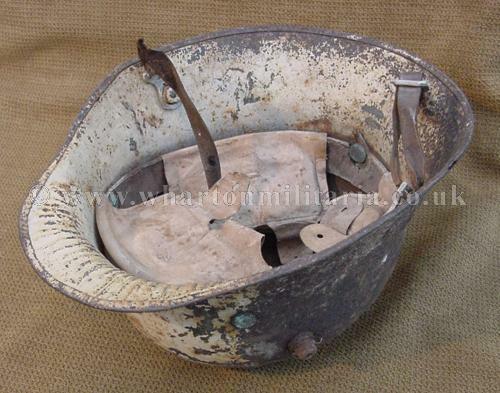 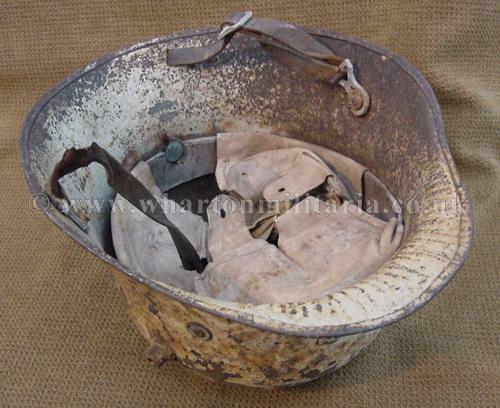 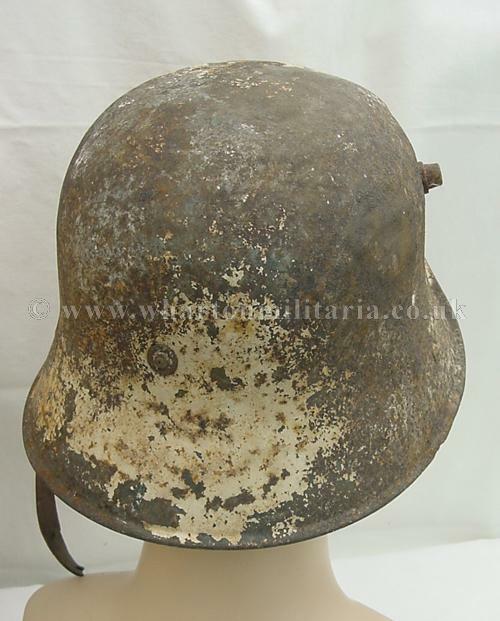 A nice early Irish helmet made by 'Vickers', in excellent condition though has seen plenty of service wear - see pictures. 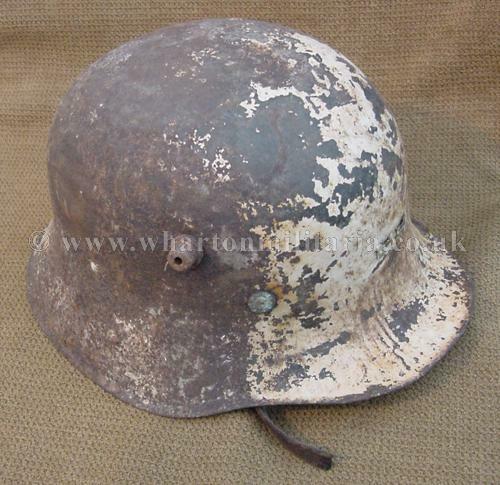 Remains of the white paint finish revealing the original issue colouring. 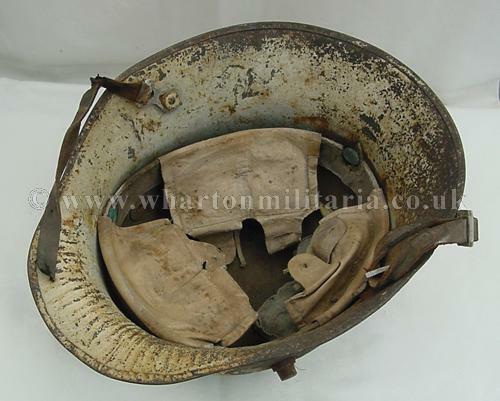 Pads in very good condition, with markings, chin strap snapped though complete. 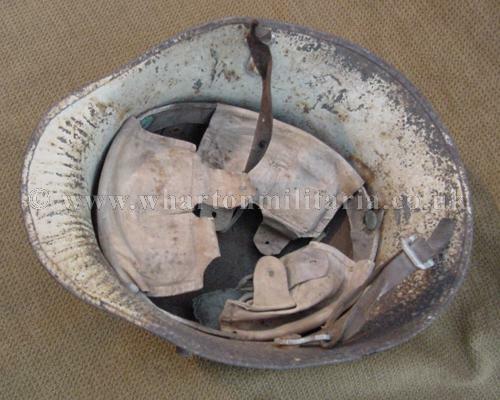 A fine early Irish helmet in 'as found' condition, would benefit from some care and attention.